Apple CEO Tim Cook looks back at the impact of his coming-out. 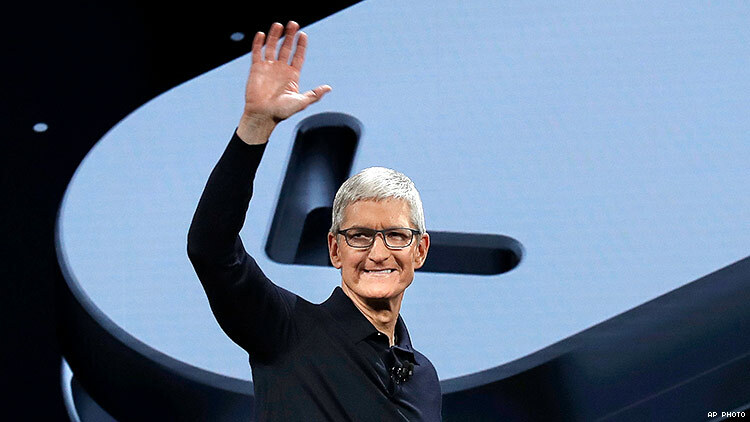 Tim Cook says being gay “is God’s greatest gift” to him. In an interview with CNN’s Christiane Amanpour, taped Wednesday, the Apple CEO discussed what it was like being the first out CEO of a major company, and how he came to the decision to come out publicly. “I was public because I started to receive letters and emails from kids who read online that I was gay,” Cook said, noting that these children would say they had been bullied for being gay. There had been rumors about Cook's sexual orientation for some time before he came out. He initially wanted to remain private, he said, but soon he began to believe that that was “selfish” of him to do so, as these kids needed him as a role model. Cook came out four years ago, on October 30, 2014. He said looking back on it, he’s happy with the decision he made. Although it has been an added benefit, Cook said it wasn’t his intention to be a role model for other CEOs, and he was shocked that he was the first Fortune 500 company CEO to come out publicly. But Cook is also very proud, and he told Amanpour that being gay “is God’s greatest gift” to him. Being part of a minority has given him a newfound level of “empathy for other people who are not in the majority,” Cook added. The complete interview will air Friday at 1 p.m. Eastern on CNN International and at 11 p.m. Eastern on PBS. Watch a clip below.